Pet Friendly Jacksonville - pet friendly Jax ! Travel with your Pet to Jacksonville! We want to help you bring your cat or dog on vacation to Jacksonville (or Jax as they say)! We have searched manually to find the best hotels, by-owner rentals, restaurants, vets and doggy day care for you to make your trip with your dog the best ever. New! wheelchair accessible by owner rentals. Want to search for a by owner vacation rental yourself? Try Vrbo/Homeaway- filtered for Jacksonville and pet friendly - just select your dates and how many people you need to sleep! Jacksonville Beach! And, there is a special page just about having fun for you! How about a spa or beauty treatment? Here is a local petfriendly map which will help you locate everything petfriendly that is near you. Pet Friendly Hotels in Jacksonville! See our selection! $$ Located on the south banks of the beautiful St. John's River and steps from the historic San Marco entertainment district, the Wyndham Jacksonville Riverwalk hotel offers modern amenities, warm hospitality and thoughtful services in the heart of downtown Jacksonville. Medium sized pets (max. 50 lbs) accepted with a $50 pet fee per stay, only one pet per room. and more pet friendly hotels in Jacksonville! Type "Jacksonville" and your dates! Best Western recognizes the ever growing needs for pet friendly accommodations. "We strive to offer our guests and their furry friends a comfortable stay and have done our best to ensure consistency at all of our pet friendly properties. There may be a maximum $20 per day charge for each room with a pet or multiple pets or a maximum per week charge of $100. A refundable damage deposit of up to $50 per stay may be required of all guests with a pet." Pet Friendly By Owner Rentals in Jacksonville! See our selection! 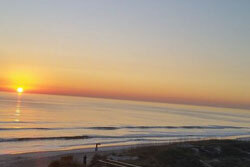 Oceanfront Condo with Special Rates! Gorgeous Ocean View from Condo! Oceanfront Condo with Special Rates! Gorgeous Ocean View from Condo! - 2BA/1BA, sleeps 6; Avg $141/nt - BOOK IT! VRBO 639589 - A charming 2 bedroom 1 bath beachfront rental, with sun & sand at your doorstep. and more pet friendly by owner rentals in Jacksonville, Florida! 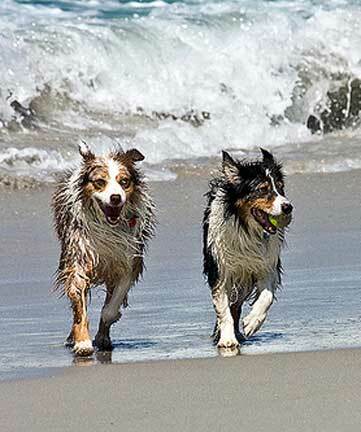 Pet Friendly Dog Parks and Beaches in Jacksonville! See our selection! Kathryn Abbey Hanna Park (Beach! 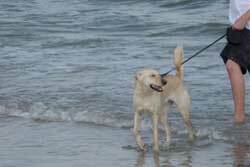 )- On-leash park and 1.5 mile public beach in the Mayport area of Jacksonville Beach. On-leash park. There is a small entrance fee. There is a $1 entry fee before 10am, and it is $3 after, open dusk-dawn all year. and more dog parks in Jax! 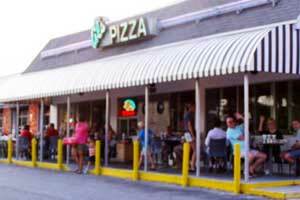 Pet Friendly Restaurants in Jacksonville! See our selection! and more dog parks friendly restaurants in JAX! Pet Day Care in Jacksonville! See our selection! 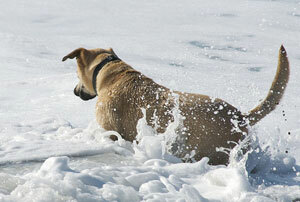 Dog and cat boarding and day care, full "spa" grooming, pet training, outdoor walks, swimming pool! 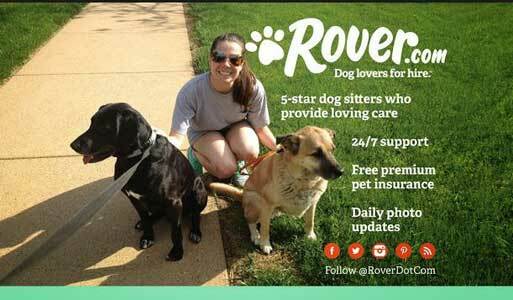 This is the ultimate pet boarding experience for your dog or cat. This staff is and passionate about pets goes the extra mile to ensure that your pet has a very safe and enjoyable stay. 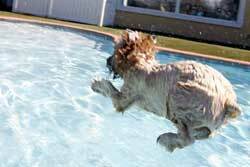 Pet Paradise promises to create a memorable stay for your pet, whether it's making a splash in the bone-shaped pool or relaxing during story time; 4-legged friends indulge in excitement and adventure at day camp or have a spa day and receive a fresh, new look by a professional groomers. Your furry companion is waiting to discover new friendships in paradise. and more pet daycare facilities in Jacksonville! Vets in Jax! See our selection! Coastal Veterinary Hospital is a full service animal hospital, pet resort, and dog daycare facility, located in Jacksonville, FL. Included within our Pet Resort is luxury dog and cat boarding and grooming, pet supplies and the unique Treasure Chest gift shop. and more vets in Jacksonville! Having Fun in Jacksonville! See our selection! The Ticket Network for Great Tickets and Fun! in Jacksonville The Ticket Network offers great tickets to amazing events in the Jacksonville area... Watch a Disney show at the Times Union Performing Arts Center or the Veterans Memorial Arena. See a concert at Florida Theater Jacksonville or a show at vibrant locals hangouts and bars like Jack Rabbits. See the Gators at the Baseball Grounds or amazing pianists and entertainers at Metropolitan Park. In any case, get your tickets! and more fun things to do in Jacksonville! How about a spa or beauty treatment? and more tips about traveling with pets to Jax! Spend some time on our videos page, which shows videos of pet travelers having a great time in Jacksonville. Our travel store can help outfit with the latest great products for your travels. Please take a look at our blog, and other cities we have done research on on our main map! Have a question? Post it! We will answer, and invite others to do so as well. This is a community! And thank you for coming to our site! This is the www.petfriendlyjacksonville.com page of the www.petfriendlynorthamerica.com global website.